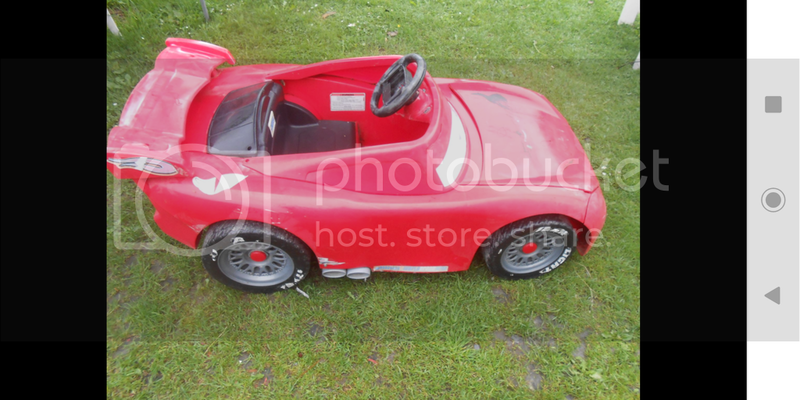 I have recently purchased my first real power wheels for my wee boy who is 8mths old, it is a bit of a project car, it is a poorly kept lightning mcqueen. But I picked it up for next to nothing, the battery and cables are busted some of the wires are disconnected pretty much all of the stickers have been pulled off and the bodywork has been scribbled over in permanent marker. 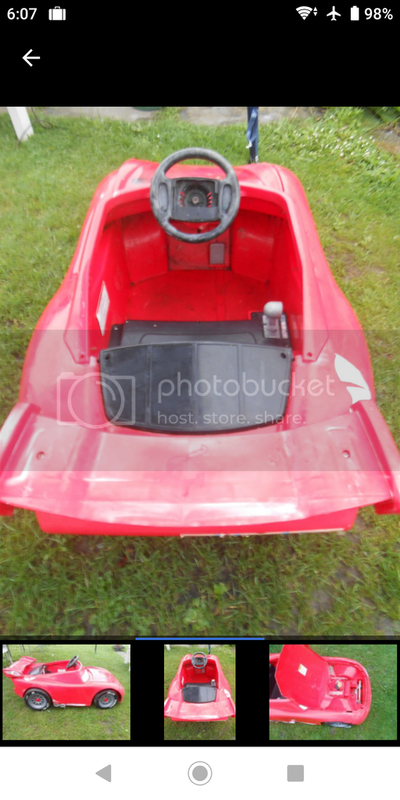 It has 2 motors but no parental remote also has no working headlights or taillights. And it is a 6v battery. The plan is to upgrade the battery and motor (perhaps 2 or 4 wheel drive) install parental control option as my boy isn't even crawling yet. Cut off the rear wing, cut out and build new headlights and taillights with perspex and leds (the plan is to eventually have working park, brake, indicators, hazards and dtrl's). Respray the whole thing in a candy red metallic. Fix up the steering wheel and all 4 wheels. Last edited by Jasonownsansw20 on Tue Jan 15, 2019 12:55 pm, edited 3 times in total. Last edited by Jasonownsansw20 on Wed Jan 09, 2019 3:11 am, edited 1 time in total. 20,000rpm, 273watts, 105amps, 0.514nm stall torque. The 6v battery that came with it not sure if will take a charge or if it works yet. Will see if I can charge it or replace. Really just want to get it working at this stage. Anyone know if these motors can take a 12v battery? Id rather get it running slow and efficient first so would I be better off using a 6v 12-14ah battery? 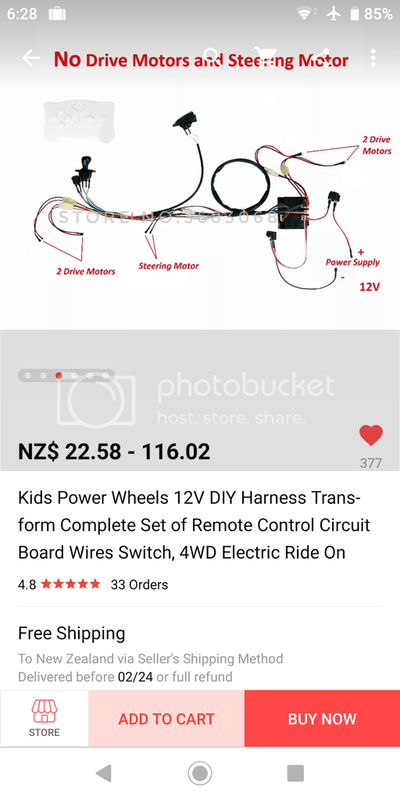 Although I do have the 12v wiring harness I intend to use for parental control, though I'm not sure what voltage the motors are compatible with or if they will need replacing. After stripping the entire thing, removing all the stickers, cleaning each part and putting back together (minus the electrics and motors) I'll get a better idea on where I need to mask for a respray, also my wee 9 month old already loves getting pushed around in it. Been testing the battery and motors with volt meter they both seem to be fine (apparently) although nothing runs in any configuration, perhaps the foot pedal mechanism is broken. I'll know more when the new wiring harness arrives. Stuck my first problem with the steering mechanism, I can only get it to fit in one orientation otherwise it either gets in the way of the foot pedal, or the top windshield piece. So this is the only position I can mount it but not sure how I'm going to add fixing points to the chassis at these weird angles unless I make some triangular spacers and just fix at right angles with some very long screws/bolts/spacers. I also need to bend the aluminum C section about 45 degrees to create some angled fixing brackets. Made some good progress on my build in the last week, Installed the new harness with parental control, mounted the steering motor, (had to bore out the steering rod and use a threaded machine screw and bolts to hold in place) , cut out the front chassis to allow for the larger 12v 12ah SLA battery (fixed a bracket to stop the battery from shifting) , existing gearbox and motors seem fine, just yet to thread the wheels so I can use M10 nuts instead of cap nuts (currently nothing holding on the wheels. I managed to get the car up and running and have a new sense of confidence of my abilities. Installed a 12v Wellye parental control unit with full replacement wiring harness with soft start and steering motor, happy with the results, now onto cutting holes in the body for cpu motor cooling fans and speaker holes then install a music player, and paintjob! Took the car out in scorching summer heat about 29degC, drove it on asphalt and gravel path as well as thick grass up and down shallow grades non-stop and it lasted about an hour. Was crawling up the drive by the time we got back.